Franklin County is Vermont’s northern treasure. Located in the northwest corner of the state, it is rich in agricultural heritage, historic traditions, down-to-earth people and natural beauty. Driving through Franklin County you will surely notice the rolling countryside. This quaint region of Vermont allows people to feel at ease, safe, and peaceful. The friendly residents and farming environment truly represent and celebrate Vermont’s heritage. You won’t find a fast-paced city lifestyle in Franklin County, but that doesn’t mean its citizens are not hardworking and dedicated. The rich farming community takes pride in its agriculture and environment. Franklin County leads Vermont in dairy and maple syrup production. The county is also host to one of Vermont’s largest agricultural expositions, Franklin County Field Days. You can also experience Vermont’s sweetest industry, maple sugaring, during the Maple Festival each spring. Located in the Northwest corner of the state, Franklin County is home to several U.S. and Canada Border crossings including Highgate Springs, Richford, and West Berkshire. The largest town in Franklin County is St. Albans, home to a quaint downtown with shops, historical churches, a movie theater, and a museum. Franklin County is a beautiful spot for outdoor adventures. The county is full of hiking trails, lakes and ponds for outdoor enthusiasts. There are also a number of excellent campgrounds and several state parks throughout the county. The Missisquoi Valley Rail Trail is a converted railway offering over 26 miles for biking, walking, hiking, and running in the summer and cross country skiing, snowshoeing and snowmobiling during the winter months. Franklin County is home to four 18-hole golf courses and one 18-hole disc golf course. Hard’ack Recreation Area offers nature and mountain bike trails during the summertime, and nearly 700 feet of rope tow for downhill skiing or snowboarding, as well as snowshoeing and cross-country trails, sliding, and ice skating during the winter months. A portion of the Long Trail State Forest runs through Franklin County in Montgomery. The Long Trail is an over 270 mile long hiking trail that runs throughout the state of Vermont from the Massachusetts border, to the Canadian Border. It is a popular hiking destination and the oldest long-distance trail in the United States. The Enosburg Opera House in Enosburg Falls is an important cultural center in Franklin County. Since 1982 it has served as a center for the presentation and promotion of the performing arts. The Collins Perley Sports and Fitness Center in St. Albans features 53 acres of land including 11 outdoor and 5 indoor sports and fitness venues, as well as an ice rink. All major field sports are played here as well as wellness facilities such as a track, tennis courts, racquetball courts, and a fitness gym offering fitness and martial arts classes. The venue is host to Vermont’s semi-pro soccer team, the Vermont Voltage, and also serves as a community center. With over 500,000 visits a year, it is a testament to the region’s commitment to recreation – traditional & non-traditional. Soak up the Mountain View! Stone and shake Cape nestled on over 13 acres of pastures and woods! Only 15 minutes to Smugglers Notch! 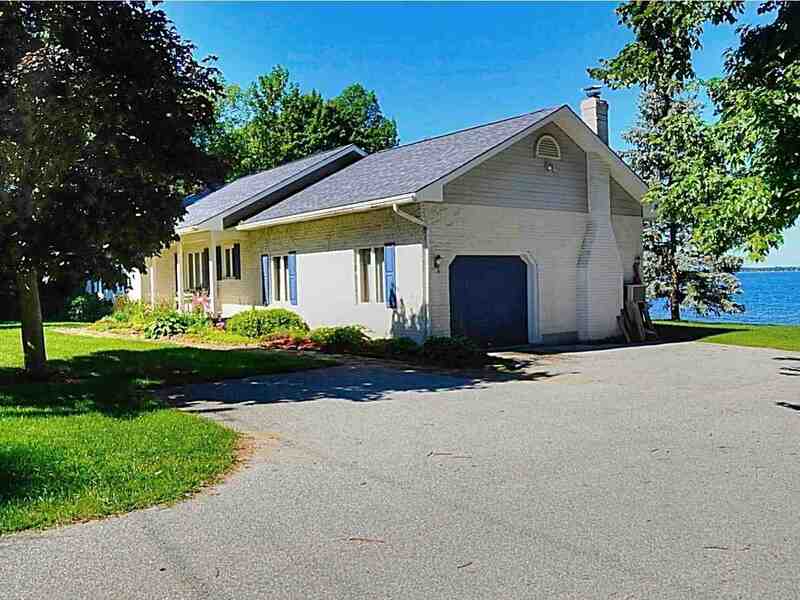 Live in style on Lake Champlain w/lakefront living at its best! Year round, direct lakefront home. 3 BR & 2 Baths, 1720 sqft. 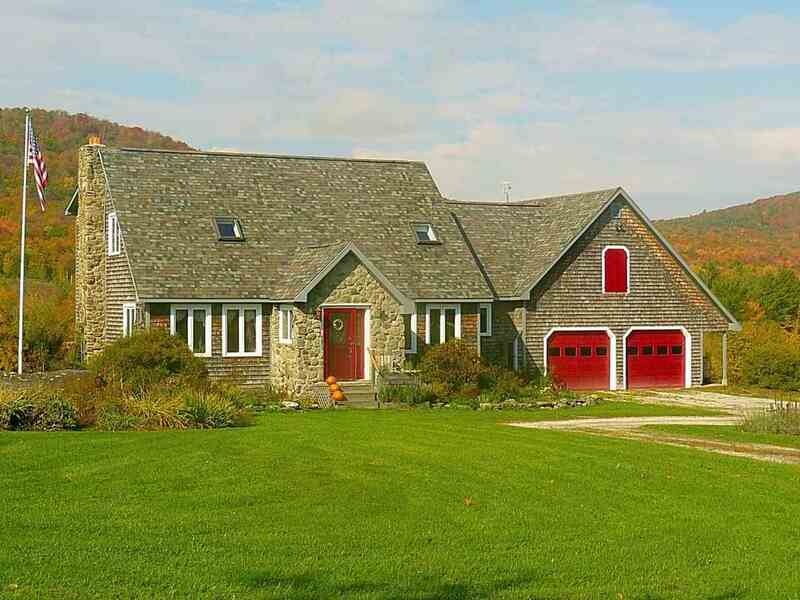 Striking custom-built home on hilltop setting with lake, mountain & valley views. 1st floor master, 15' ceilings, 9 garage bays.